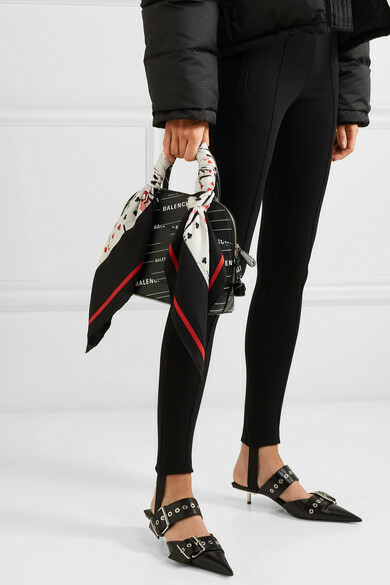 Everyone's making scarves a finishing touch to their outfits this spring, and a graphic style like Balenciaga's is a fun way to follow suit. 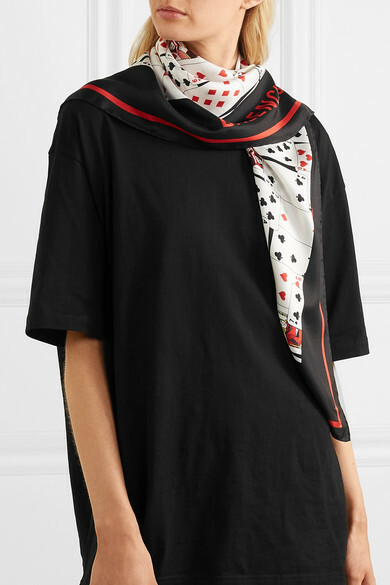 It's made from fluid silk-twill and printed with a playing card motif that debuted on the Spring '19 runway in shirt-form. 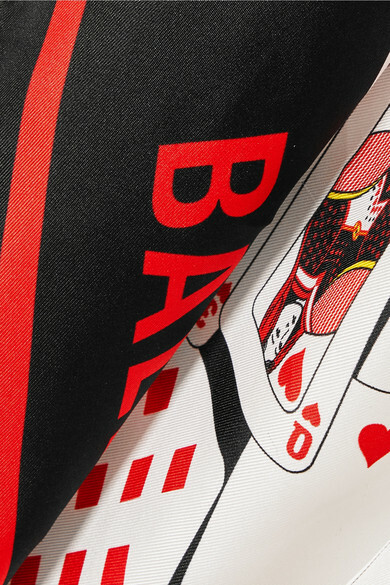 Look closely and you'll notice the ace of spades is detailed with brand lettering.